With Christmas just a few weeks away, I am sure I am not alone in my thoughts turning to what I am going to wear to Christmas parties! With the dark dull evenings and the freezing cold weather, what I actually want is glitz, glamour and a whole shed load of sparkle! I already have my eyes on a dress or two - which I will blog about when I have them! For now, I thought I would do a few posts on what dresses I like that are out there - so that your plus size Christmas dress shopping is made as easy as possible! First up - My ABC of Christmas frocks from Yours Clothing! Seeing as this dress is in the sale, it's a complete and utter bargain. It also means that if you want it - you better get your hands on it before it sells out! What I love about this dress is that it is perfect to wear for any occasion - you can easily dress it or dress it down depending on the event. It is great to wear to work with leggings and then you can change to tights if you want to dress it up and go straight to work in your lovely new dress. Click here to get the dress for just £16.80! Black and silver seem to be the colours of this festive season and this offering from Yours Clothing does not disappoint! 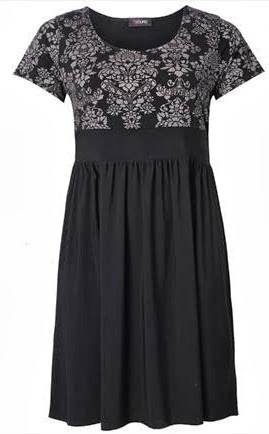 When you consider that the price tag is just £35 - it is the ultimate affordable dress for the party season. 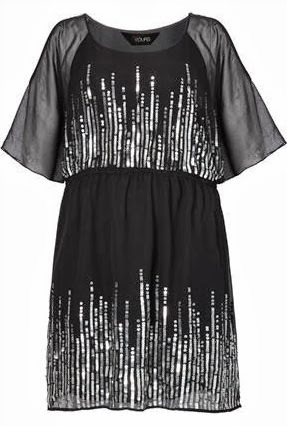 I can picture this dress with some sparkly accessories and really nice sparkly shoes - helping to make sure you're all glitzy for whatever Christmas party you attend! Click here to get the dress for a bargain price of £35.00! 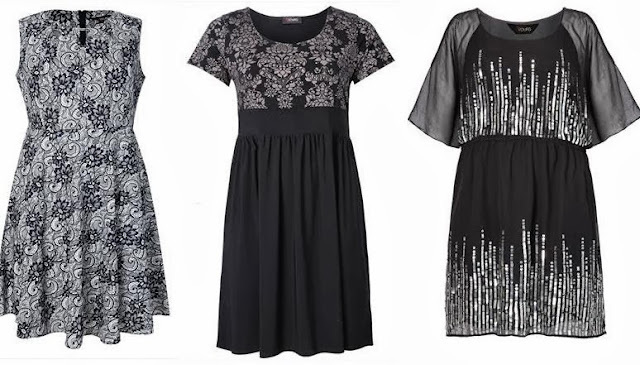 So there you have it - my picks of dresses for this years festive season from Yours Clothing! Do you have your eye on any party frocks yet?